Is Too Much Testosterone In The Body Dangerous? Having too much testosterone in the body can be dangerous to the system for both men and women. This is why it is important to learn what causes too much testosterone in males and in females. Taking too high of a dosage via intramuscular injection can occur if a person tries to self medicate and does not work with a reputable and trustworthy testosterone replacement therapy (TRT) clinic. From this medical information, the physician can learn what the best dosage of testosterone medication should be for each individual patient. How much is too much testosterone? Experts say that any testosterone level above 1,000 ng/dL can be considered significantly high for men and could cause problems. The experts also say that any man whose testosterone levels are that high are in the top 2.5 percent of all men. Different clinics will have different ranges of testosterone that they consider to be low, normal and high. It will depend upon what kind of clientele they see. Can you have too much testosterone? Yes and this is why an honest, licensed TRT doctor very carefully medically monitors his or her patients all the way throughout therapy. The professionals need to keep a close watch on how much testosterone a man is taking. They will check blood work periodically to make sure that testosterone levels are not too high, but are in normal range for the person’s age, body chemistry and body composition. 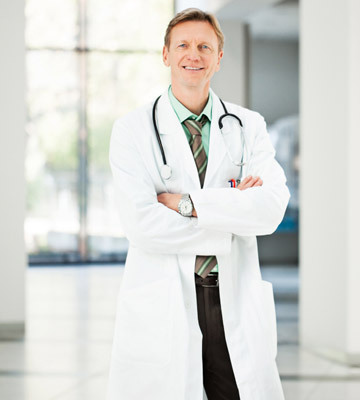 Depending upon how a man metabolizes his testosterone will also affect how much his prescription will say he needs. Too much testosterone in a man’s system can cause a plethora of symptoms, according to the experts. Some professionals even say that too much testosterone can be very dangerous for a man or for a woman. The symptoms associated with higher than normal levels of the hormone can cause serious problems in physical, emotional, mental and sexual functioning. Never self inject medications yourself with medications that you do not even know are real. Never partake in TRT without a prescription from a licensed doctor. Only buy testosterone injections from a medical clinic that has tested your blood and with whom you are working closely. Make sure you are receiving close medical supervision while you are taking testosterone injections. If you would like to find out if testosterone replacement therapy is right for you and become a patient of a very trustworthy and honest TRT clinic, fill out our contact form located on this page. You will then have the opportunity to ask all of your questions regarding TRT, what causes too much testosterone in males, what too much testosterone can do to a man and more. Our clinical advisors are happy to educate you enough to make an informed decision about whether or not TRT is right for you.